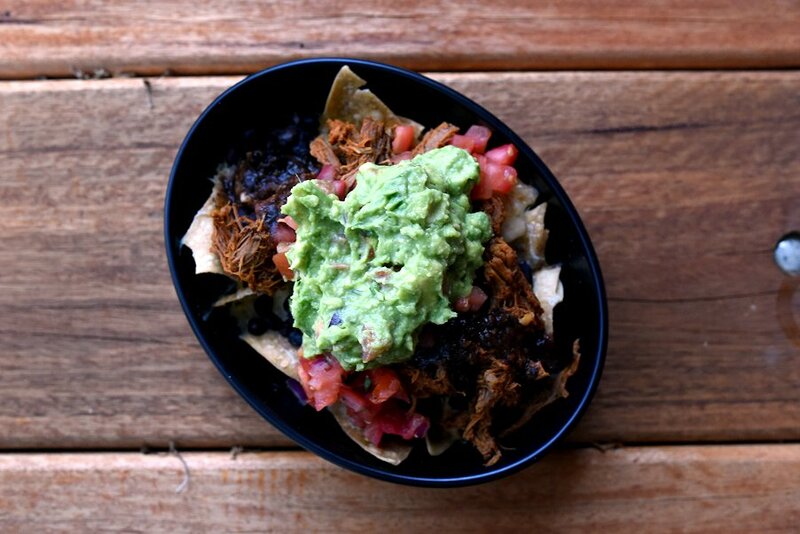 New Mexican flavours have made their way to Adelaide with Guzman Y Gomez Mexican Taquería. They recently held their VIP opening night party, and we were lucky enough to be invited. Multiple friendly staff, drinks and traditional music trailing from a live mariachi band first welcomed us in. The restaurant was loud but exciting; the whole atmosphere shouting Mexican Fiesta! 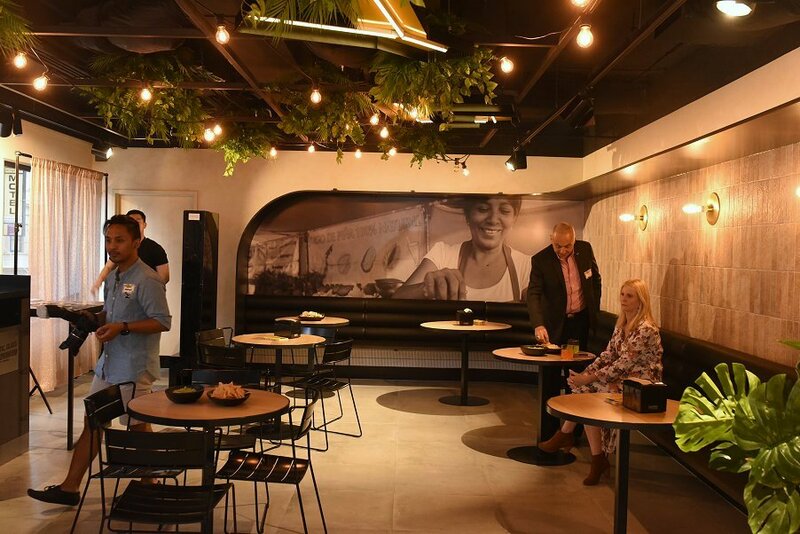 Located in the heart of the Adelaide CBD, across from Rundle Mall, Guzman Y Gomez is in the perfect location for locals, workers, students and even tourists to come and have lunch or dinner. It features an all-new modern interior design with a yellow and black theme, two levels and a balcony seating area overlooking King William Street. 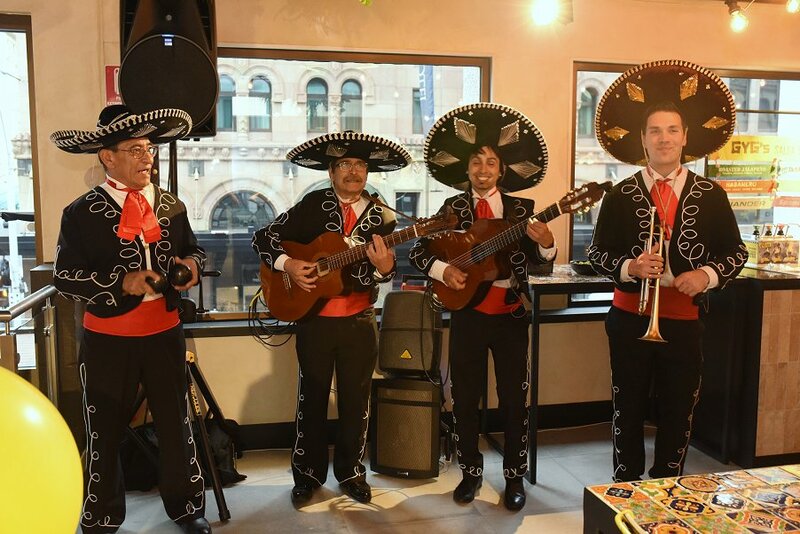 This restaurant is the first to open in South Australia, making Adelaide the last main city in the country to be graced by the Mexican food franchise. Guzman Y Gomez’s great passion for food is clear in their choice of natural, local and ethically soured ingredients. From this it is easy to see why their food tastes great with it’s fresh and high quality produce. They offer up a large menu selection, so there is always something for everyone. They sell burritos, burrito bowls, nachos, nacho fries, tacos, fajitas, enchiladas, quesadillas, salads and even have a kid’s selection or items that are for those that are vegan, vegetarian or gluten free. Their menu is set up in a ‘choose your style’ theme where you pick the type of meal you want and then choose your filling. This includes selecting mild or spicy: pork, beef, chicken, fish or vegetables as your main protein. Extras are then chosen and added to fill the meal. These include guacamole, Queso (cheese), white or brown rice, black beans, chipotle crema, tortillas, or sour cream. Step three is to either add fries or corn chips to your meal. 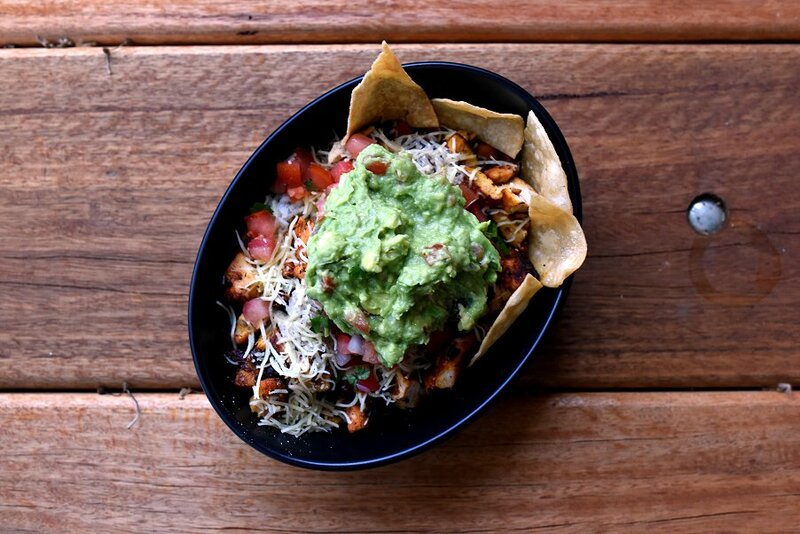 Both of which have be re-invented time and time again to suit Guzman Y Gomez’s style, ensuring customers are getting the healthiest and best tasting chips they can offer. Guzman Y Gomez also offers a range of specialist mexican drinks, soft drinks and juices and even offer a dessert of churros with a home made dulce de leche. We were lucky enough to try a whole range of different nacho and burrito flavours while we were there, and it felt like I was indeed in Mexico. The food was excellent, and even with the simple ingredients; the flavour combinations were beautifully crafted and bursting with flavour. Guzman Y Gomez is a restaurant that doesn’t believe in compromising their ingredients or the quality of food from the use of microwaves and freezers, thus every ingredient is supplied fresh every morning to ensure customers are getting the best produce and the best tasting food possible. Guzman Y Gomez’s overall goal in the industry is to ‘fix fast food’, ensuring Adelaide gets the quality Mexican meals they deserve. Already attracting customers who wanted to attend the private event, I just know Guzman Y Gomez is going to be a hit. 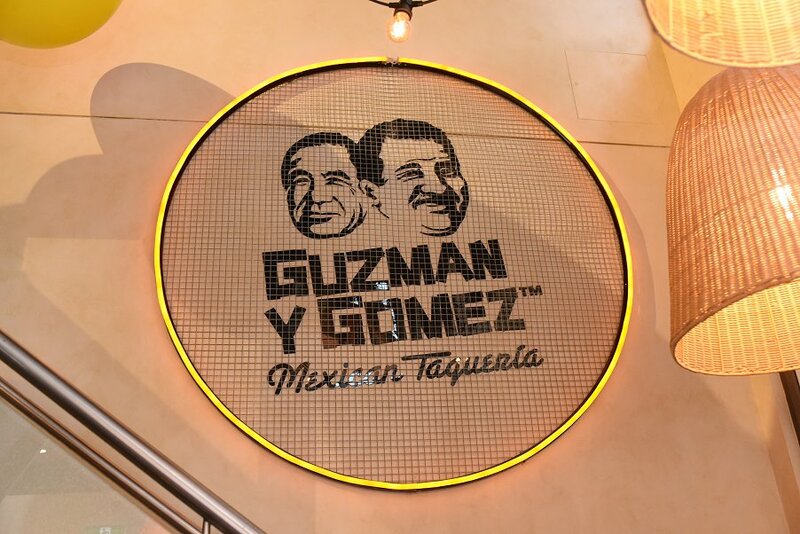 If you are looking to try the amazing fresh, fast and authentic flavours of Mexico; come satisfy your tastebuds at Guzman Y Gomez.